Foxy has a slightly scratchy,pirate with a adventurous personality.He tells all the tales of his adventures.But now that he is out of order,feeling lost. Yar har har! Come sit down in a circle as I tell you all my wonderful tales! Chica has a perky personality with a calm,peaceful voice.She used to be hungry for pizza now she is hungry for BLOOD. Hey Carl,don't these kids look tasty? I could(EAT THEM UP) could k-kill them. 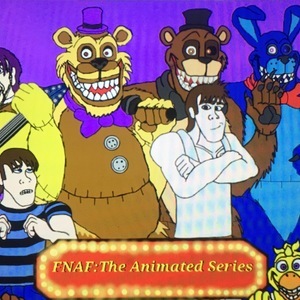 Aww you gotta go,t-that's no fun..
Fredbear has a deep,great voice with a funny personality.With his friends and himself,all fun come to life. Of course,B-Bonnie. They love to join the band! (softly) I'm sorry,my child.All the tears you've cried..for the suffering of your young soul. Zachary is the big brother of the Crying Child.At the age of 17 he tortures his brother.He has a natural voice that is silk and unique.Have fun with the character! (says loudly)Have fun in there! William Afton is the father of the Crying Child.He is the cofounder of Fredbear's Family Diner.He has a sweet charming voice that is scratchy a bit. (sad) I'm sorry son of what you saw.I was just helping a man get inside the costume. (a bit crazy and normal at the same time) Everything will be alright..
Amy is a 8 year old girl who will become Baby soon in the series.Have fun with her! Do your best! But daddy,didn't you made her just for me? Aaron Afton is a 10 year old boy that is scared of Fredbear.His voice can be heard like this video: https://m.youtube.com/watch?v=GiV9nHO_514 You can take inspiration from that voice and take your own spin on this. (scared)You might think he's cute but to me...He's a monster. (gasps surprised) I-I don't wanna go there. Look at all the kids! Why they look(LIKE INNOCENT SOULS) l-like they're having fun. I hear it is someone's birthday today,let's go (KILL HIM) s-sing him a song. 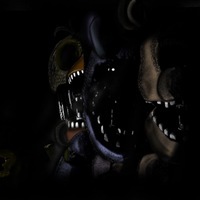 (angry)I am sick of being stuck here with no one else to be there for me.Because of the incident Fredbear should be the one out of order not me!! Freddy has a charisma,charming voice.You can voice Freddy with or without effects. Also,Freddy is a lovable bear until the stuffing of the five kids made him,stronger,mean,and powerful. Where are you going little one? (chuckles) Who wants to join our band? To run around hopeless and dark..and build upon all of this hate! Golden Freddy has a slightly deep with a bit of charm and seriousness mixed in.He is the mystery yellow bear that had spent his life grieving with his friends to fly free to soar on their own...Just..like...balloons. My soul will be freed.Away from this horrific nightmare.. I wish best of luck for my friends...cherished their souls God.Bless you..
Henry has a slight rough voice with a mix of charisma in it.Have fun doing any voices you like to do with this character!